Today marks the day that Activision and Infinity ward release their Call of Duty Ghost Multiplayer Reveal. Today we will see what the Call of Duty series has to offer with this new IP! 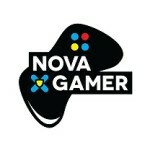 Will this be just another Call of Duty game as we mentioned in SuperNova Cast – Episode 5? or will this be everything the community has hoped for? Read on and Find out! Call of Duty Ghost Multiplayer has been completely rebuilt from the ground up focusing on 3 pillars. Below is what Activision covers in their reveal. overall there are a total of 30 new weapons added to the game. Most importantly is the addition of the new weapon class which will bridge the gap between the sniper and assault class. This new class is called Marksman and will be a semi-Automatic class that will allow you to equip a variety of scopes or use the iron sight as single shot rifle. This is a throw back to the original Modern warfare, which I agree has been missing for quite some time. On top of the new weapon class is a new Dual rendering scope system which will allow you to zoom in on a target while keeping your peripheral vision in tact. All these new weapons will be included in the create-a-solider system similar to the pick 10 system from Black ops 2. The new system will allocate you a budget for your primary, secondary, lethal, and perks. This new system makes all attachments and kill streaks free…This will give the player a greater range of customization over their characters, which in turns reduces the amount of “cookie cutter” characters in a match. As mentioned above the perk system will work on a budget. What this means is each player will be granted 8 points of perks, and each perk will be granted a value from 1-5. This will allow players to have up to 8 perks, as few as 2, and everything in between. Now if the player chooses they can eliminate aspects of their inventory and will be granted 11 points in the perk budget. This alone will add a huge verity of options and strategies to the create-a-solider system. There are a wide variety of kill streaks added to the game for the players to choose from. 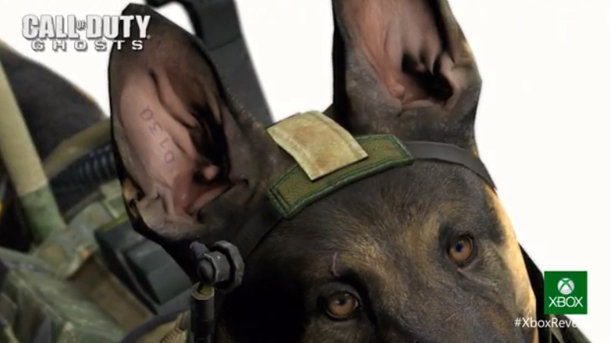 The 2 that jump out to me right off the bat are the Helicopter Scout and the dog companion. The scout kill streak allows players to call in air support and snipe from the side of a helicopter. The dog on the other hand lets you call in an attack dog that will follow your player around picking off enemies as they pop out. The dog companion will all so growl and alert the player when enemies are near by. Like Modern Warfare 3 these kill streaks are not only earned by kills, but by completing objectives. Importantly the Support, specialist, and assault strike packages are back in full force with Ghost. To improve the balance of this system Infinity ward has reduced the amount of air based kill streaks and increased the amount of ground based streaks. To earn all of these goodies in Call of Duty Ghost players earn experience to gain levels…Sounds like the same old system right? Wrong! In Ghost players can choose what weapons and attachments to unlock with their levels. This will allow players to get the weapons they want faster so they can focus on playing the game the way they want to. In Call of Duty Ghost you do not get too create one solider, but 10…Each with their own load outs, unlock, and prestige levels giving the player 10 truly unique characters…and when you prestige you get to keep all your unlocks! The squads and characters created are not only used in the multiplayer game, but in the all new game mode called squads. This is a game mode that can be played solo, co-op, or competitively. The progress completed in squads will count towards your multiplayer rank, which will be a huge asset for all of your soldiers. The load out of each of your squad members will affect how they act in the squad mode, for example: if you equip a solider with a sniper rifle he/she will act like a sniper. This new mode really shows off the new A.I system, which promises to show A.I. players acting and fighting like real players. Squads will include a bunch of game modes for players of all skill. Call of Duty Ghost Multiplayer adds new dynamic map events to the table. The goal of this is to add a new level of strategy and difficulty to the game. This defiantly gives a new meaning to “I have to learn the maps”…before, this meant I had to learn where to snipe or lay traps. Now however players will have to be careful about the environment as well. We will have to learn what we can do to manipulate the map and how this could benefit or hurt your team. The dynamic elements range from player triggered traps, to landscape changing kills streak rewards. The goal of this is to completely change the Call of Duty Multiplayer world. In addition there are 7 new game modes, 20 new kill streaks, and new animation/character movement to help you navigate the map with ease. Cranked: This is a spin off of team deathmatch. Every time a player gets a kill they get a variety of bonuses from faster reload, to better movement, and so on …They also receive a 30 second countdown timer, if the player fails to get a kill before this timer runs out the player Explodes…This is directly out of Mr. Torgue’s Play book! Search and Rescuer: This looks like Search and Destroy mixed with kill confirmed. When a player is killed they are removed from the game unless a teammate can recover their dog tags. If a teammate recovers the tags of a fallen player, that player is revived… However if an enemy recovers them then the player is out for the game. The Call of Duty mobile app gives you the ability to bring COD with you anywhere! This will be powered by your CoD account. You can now bring everything with you, from current gen to next gen, and from console to console (with in the console family…so no Xbox One to Ps4). Most importantly however is the current gen to Next Gen. This means that if you buy Call of Duty Ghost on the Ps3 and sink 100 hours into the game then upgrade to the Ps4, everything will transfer with you! This is huge because it eliminates the issue of having to replay the game and do everything all over again. Gamers will also be granted access to the Call of Duty mobile App which will work hand in hand with the game….including a mobile meta game called clan wars which will allow players to level on the go…Well my life is ruined. Activision is promising all this and more at a blistering 60 frames per second! I’m going to be honest here…Up until this release I was worried that Call of Duty Ghost Multiplayer was going to be like every other call of duty. Not that there is anything wrong with it…But the game play was getting a little old. Now my opinion has done a complete 180. Like Modern warfare on Xbox 360 and Ps3, Ghost promises to change how we see and play the Call of Duty series in the Next Gen and after this reveal I believe they may pull that off. Now all we can do is wait until November 5th for the release!